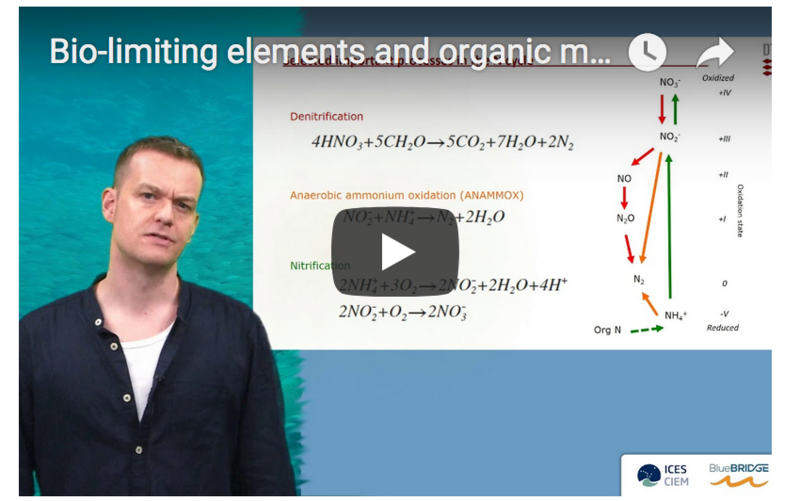 Welcome to the online course on Oceanography. The Global Record of Stocks and Fisheries: what is it and who can use it? This tutorial presents the online catalogue of stocks and fisheries and focus on the methodology used to build the database (selection of data standards, unique identifiers logic, associated information to stock and fisheries). In the context of the Blue Growth strategy, the need for services that collect and combine Environmental Observation (EO) data with aquaculture data has been identified by the EU. 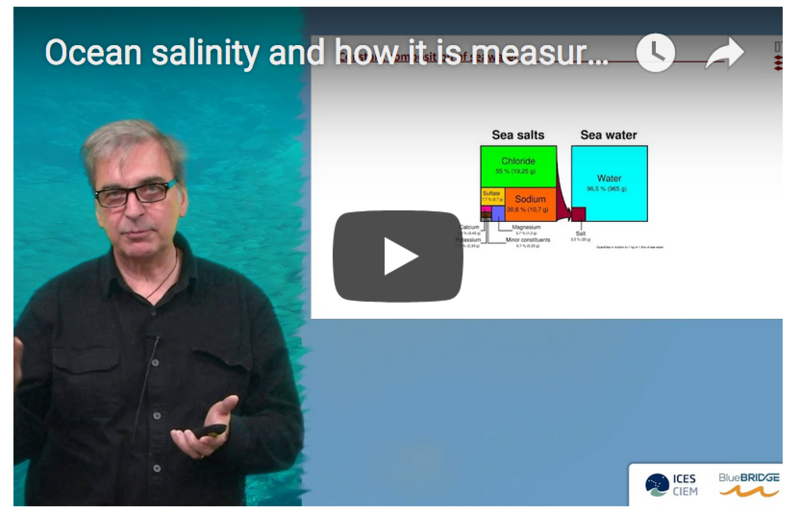 In this context, fundamental services are needed to monitor the spatial distribution of human activities including aquaculture and fishing, allowing for performance analysis based on environmental and socio-economic indicators. This tutorial highlights two VREs developed by BlueBRIDGE that support a computing intensive ontology driven feature analysis of Synthetic Aperture Radar (SAR) and multispectral optical imagery (using Sentinel-1 and -2 data, and Very High Resolution optical imagery), where the results are displayed on maps for human reviewers. The first VRE is specialised in recognizing offshore fish farming in Greece, whilst the second is specialized in identifying coastal aquaculture ponds in Indonesia. The Tuna Atlas VRE is a tool to handle public domain data from various (Tuna) Regional Fisheries Management Organizations. Tuna Atlas provides services to discover the available datasets at regional and global levels, extract them in several formats widely used by the scientific community (e.g CSV, NetCDF, SDMX) and visualize them in an interactive web-viewer of indicators and maps. It also includes tools for the users to generate their own Tuna Atlas by applying own processing (e.g applying specific choices for scientific corrections) on the tuna RFMOs data. 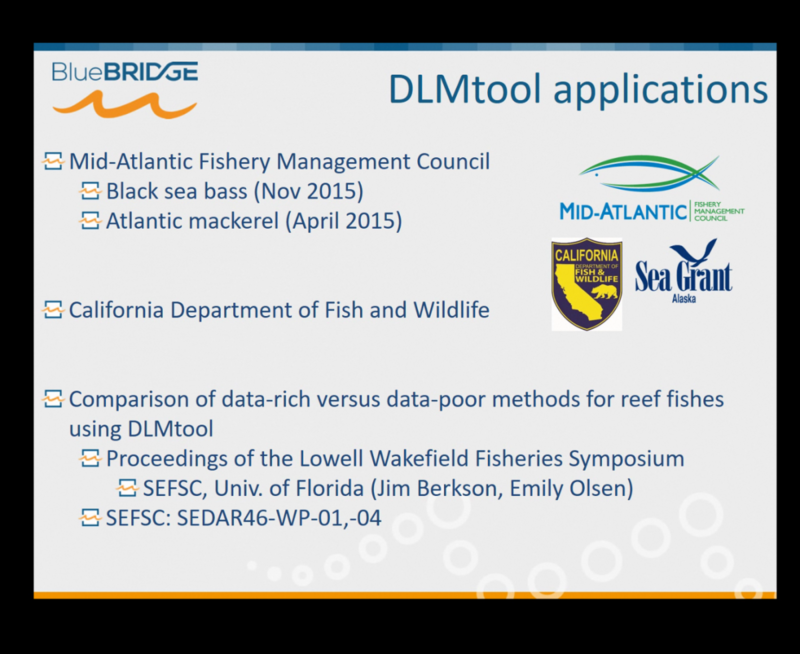 The tutorial presents the BlueBRIDGE tools that aquaculture producers can use to estimate the performance of their production exploiting state of the art Machine Learning methods based on the real historical production data. Aquaculture is the fastest growing animal food production sector in the world with continuously and rapid increase global production. However, the environment in which the aquaculture companies operate is highly competitive with limited margin for profit. All aquaculture producers have to face specific challenges concerning the improvement of the performance of their companies in terms of cost, feed conversion, growth rate and mortality. Simultaneously, their decisions should be sustainable and environmental friendly. Small mistakes can make the difference from profit to loss. Using the services provided by BlueBRIDGE, aquafarmers can estimate the performance of their production exploiting state of the art Machine Learning methods based on the real historical production data. Furthermore, they are able to make accurate production plans, future investment plans by exploiting the geoanalytics platform and techno-economic analysis combining production, financial and environmental data. In this way, they can make correct and timely decisions strengthen their aquaculture's position against competition. The PAIM Virtual Research Environment (VRE) provides the user with tools to visualize, analyze and report on a range of ecologically important seafloor features within marine protected areas - a key component of Maritime Spatial Planning (MSP). The interface is built around an interactive map viewer that provides visualization of a range seafloor features. The interface utilizes cloud computing to analyse the representation of seafloor features within marine protected areas for a selected exclusive economic zone or marine ecoregion. Finally, the interface presents the results of this analysis in an interactive report, with options to download the report or the results of the analysis. 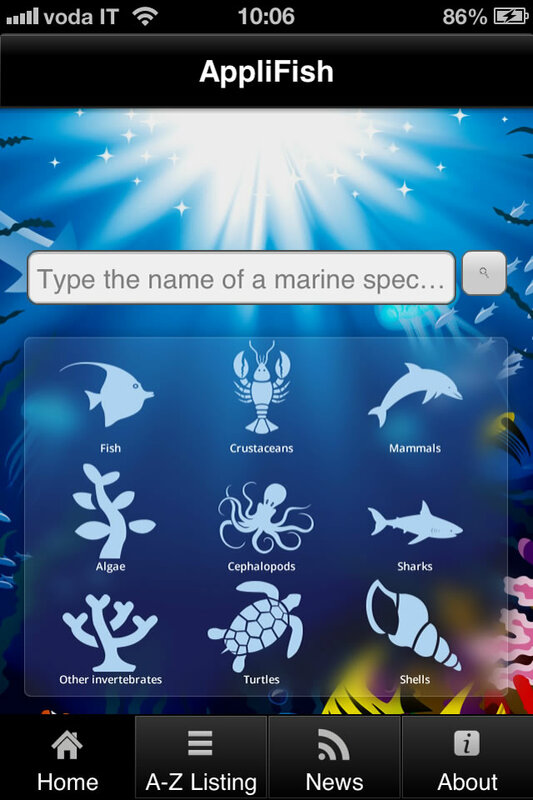 The interface will assist users in understanding which seafloor features occur in an area and how these are currently represented in marine protected areas. This information can be used to prioritize future planning of protected areas to include seafloor features which are poorly represented. 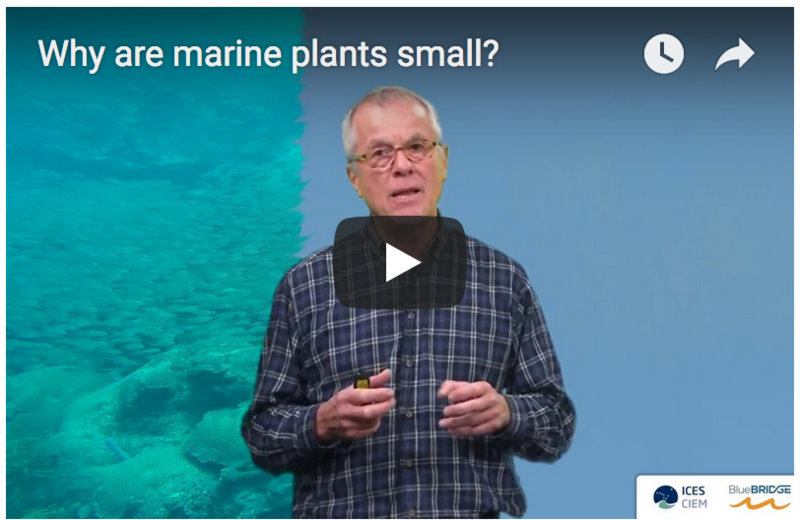 This tutorial highlights what are the growing need for data-limited methods and the limitations of currently available tools and then explores the iMarine/BlueBRIDGE solutions as a unifying framework for reproducibility. A specific focus is put on CMSY and the DLMtoolkit. BlueBRIDGE offers you Virtual Research Environments (VREs) to set up and deliver training courses in a cost-effective way. The BlueBRIDGE VREs are collaborative, web-based applications which enable collaboration and integrated access to potentially unlimited digital research resources, as well as cross-disciplinary and cross-community tools and services. Click here to understand what are the features made available by BlueBRIDGE to support scientific trainings. SlideShare presentation on BlueBRIDGE project: objectives, offers, stakeholder, partners. This tutorial focuses on how the BlueBRIDGE e-Infrastructure and Virtual Research Environments can enable data sharing and experiments reproducibility and repeatability in the biodiversity conservation field. Examples of tools that can be adopted by the audience are also showcased.